The Morrissey Pub … Hello! Goodbye The Doolins, it was nice to meet you. Unfortunately this is the end and you are definitely closed for boutique hotel redevelopment … It’s sad, but life has to continue so now we spend our night at The Morrissey Pub in Vancouver. Host to many stars of the old and new guard of rock. The Morrissey is open daily from 7 a.m. to 2 a.m. on weekdays and 3 a.m. on weekends. It’s for me the place place to grab a beer and enjoy rock music in Vancouver. 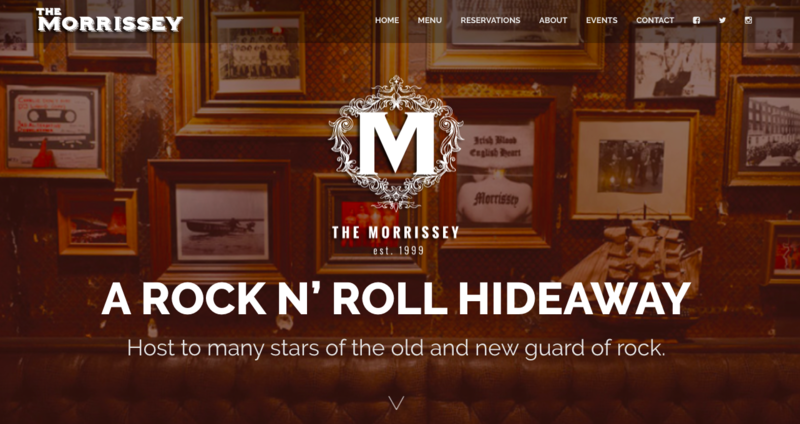 The Morrissey Pub and restaurant is “a proud guardian of rock and roll“. It is an institution in Vancouver city. Trust me and try this place! Chandeliers & old-world decor adorn this bar serving craft beers & pub food that hosts rock bands. It is Located on Granville Street directly beside the Ramada Inn & Suite Downtown.